Mangaluru, Mar 07, 2018: Serious demands to extend Mumbai CSMT–Mangaluru Junction- Mumbai CSMT Superfast Express to Subrahmanya Road Station has taken intense demand with Shobha Karandlaje MP writing to the Railway Ministry, and various rail passengers associations lending their voice to the demand. MP Karandlaje, in her letter dated February 15 to Minister of State for Railways Manoj Sinha noted that Kukke Shree Subrahmanya Temple in Dakshina Kannada district attracts thousands of pilgrims from across the country. However, very few long-distance trains operate to Subrahmanya Road Station, the nearest to the Kukke Temple. Hence it is prudent to extend the Mumbai CSMT- Mangaluru Junction- Mumbai CSMT (Train No. 12133/ 12134) to Subrahmanya Road, a distance of 90 km from Mangaluru Junction, MP Karandlaje said. Meanwhile, the Kukke Shree Subrahmanya- Mangalore Commuters’ Forum has petitioned Railway Minister Piyush Goyal with a similar demand. Its organiser Sudarshan Gowda noted that people of Dakshina Kannada have been demanding the extension for over a decade. Increase in visitors : The number of pilgrims visiting Kukke Shree Subrahmanya Temple has constantly been increasing, and hundreds of them from Mumbai region have to terminate their journey at Mangaluru itself because of non- availability of direct train service. He noted that Subrahmanya Road Station, which is now categorised as NSG 4 station following increased footfalls and revenue earning, needs to be developed as a terminal station under tourism scheme. 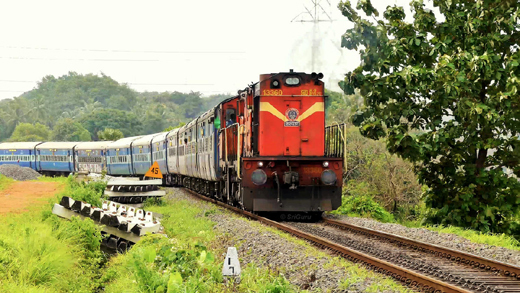 CSMT Express’ extension to Subrahmanya Road would also help Mangaluru Junction passengers and the Railways has to consider extending more trains to Subrahmanya Road to offer increased connectivity to other parts of the country, Gowda said. Thus, Railways can earn more revenue and passenger convenience would improve greatly.